The search engines are constantly developing their algorithms to ensure more user-friendliness with prioritizing the searchers intent. With proper optimization of your website or webpage in line with the changing guidelines of the Search Engines, you can definitely take your webpage all the way up to the SERPs. As search engines are changing their algorithms to optimize a webpage, it is pretty common that they are bringing forth new required factors while making some prevalent factors null and void. 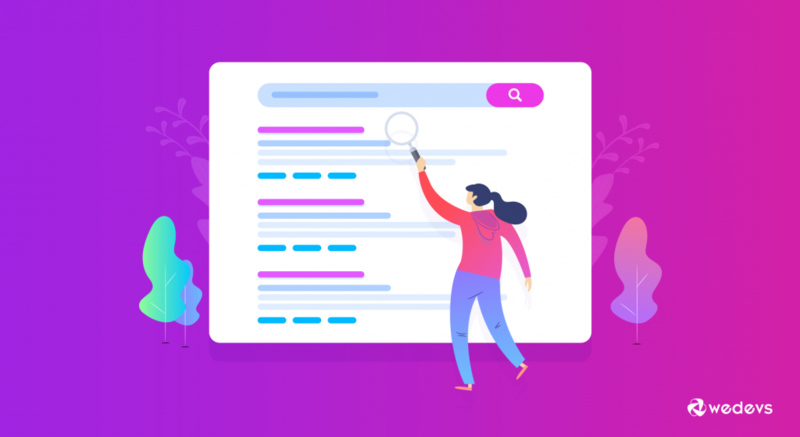 Though Meta Description is an old-school theory for SEO or Search Engine Optimization, it still works great to thrust your web page to the top. In this article, we will learn what a meta description is and why it is important for your web pages. In non-technical terms, the meta description is nothing but the short snippet of texts that tell the search engines and the searchers what your web page is all about. 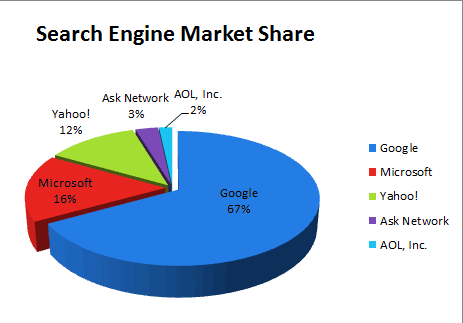 As Google possesses 67% of total search engine shares of the market, we should optimize for Google rather than optimizing for the other search engines like Yahoo, Bing, Ask, AOL etc. Technically, a meta description is an HTML attribute in between the meta tags describing your webpage. The meta description may appear under the URL of your webpage. This snippet of texts is pulled from the meta description attribute. However, if the meta description is not specified then Search Engines can fetch these texts from the main body of the webpage. Here is an example of meta description after searching for the keyword, “weDevs”. How to See a Web Page's Meta Description? It's pretty easy! Go to the page of a web page then, right-click your mouse after that select the View Page Source option from the box. Why Meta Description Is Important? If you take a look at the following data, you will see how Meta Tags play an important role to rank your webpage. 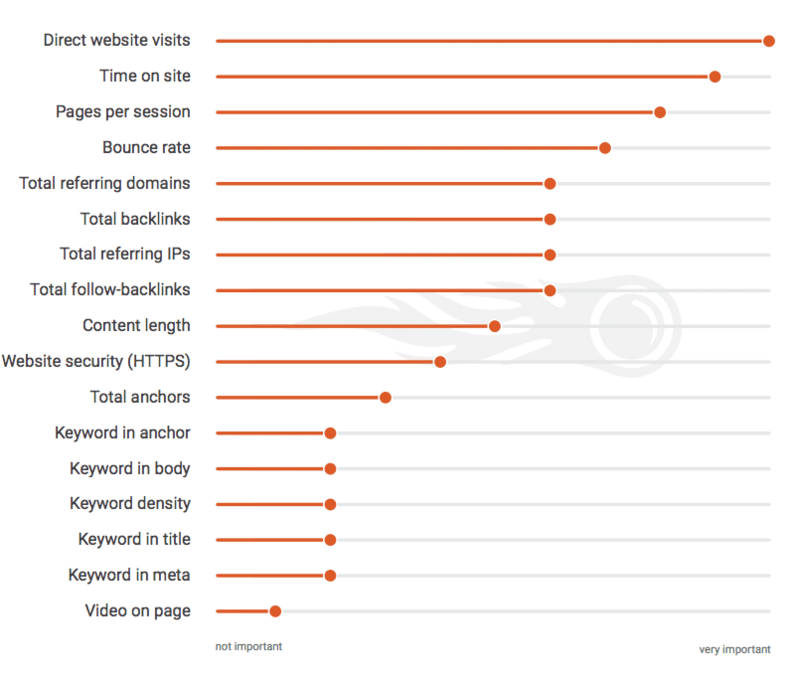 The above data shows the most important ranking factors for a website. Though meta tag is at the bottom of them, it still strongly pushes your web pages to the top provided that you have done the SEO by adding a suitable meta description. If you are not convinced yet, here is another fact taken from the Moz. Putting it all together, we're up to almost 55% of cases where Google is using all or part of the original meta description tag. Increases the click-through rate due to the concise explanation of a web page on the SERPs. Helps your web page get ranked faster due to the increased click-through rate over time. Makes the users happy due to the user-friendliness of the appearance of a webpage on the SERPs. Though Google seldom follows a meta description to rank a webpage, a study by Moz shows that a meta description containing relevant keywords can boost the ranking. Helps the users to quickly choose the most appropriate web page from the search results. Boosts up the number of leads on your website due to the increased visitors. So, it is quite obvious how significant the meta description is for your web pages. What Is the Optimum Length of Meta Description? There is no hard and fast rule for the optimum length of a Meta Description. It depends on the situation and your taste. However, as Google truncates the characters of a meta description longer than 300, we recommend keeping the number of your meta description characters under 300. The Moz suggests writing a meta description containing characters between 50 to 300. How to Write Better Meta Descriptions? Before writing an engaging meta description consider these in your checklists. Keep your focus keyword in your meta description. Never use a meta description that has been already used in other web pages. Use a keyword in the meta description that is hyper-relevant for a web page. Make sure that the texts are highly engaging by telling the benefits or showing the value, eliciting emotion and urgency. Common SEO Tactics You Should Stay away from to Ensure the Best Result. Learn how to “Increase the Click through Rate with These Call to Actions in Writing“. To save your time, here are a meta description templates that may help you craft amazing meta description for your web pages. Doing "Focus Keyword" is very important. Ever wondered how to do it? Here is our comprehensive and effective guide to do it which can give you a boost. Do you find it difficult to do "Keyword"? Then you can try "Your solution" that can lessen your pain and make you more efficient like never before. Compare "Your product" with other solution providers with an amazing chart and make your decision to buy the "product" wisely exactly the way others did. This documentation explains the "Keyword" feature of "Your product". If you want to learn how it works you can go through this documentation. If you are using a WordPress to manage your website you can set meta description without coding a single line. You can use WordPress tools like Yoast, Rank Math, etc. to write a meta description with optimized length. Adding meta description is definitely no less than an artwork. With a good meta description, you can convince your visitors and thus increase the traffic and click-through rates. These factors are part and parcel for the better site ranking for any website. Finally, with sufficient proofs and evidence from above, we can conclude that as an integral part of SEO, you must apply the meta description to each and every web pages of your website. I agree! but Google recently said No. we don’t use meta description as a ranking factor which means it’s useless for Google and maybe for other search engines as well. Anyway, I am still counting on meta descriptions, but I never noticed a better ranking for decades.